7 days of self-paced INSPIRATION. 7 days of EMPOWERED reflection. 7 days to begin TRANSFORMATION. Less than an hour each day: Spend as little as 20 minutes a day to complete your Leader Tracker and Challenge tasks to thrive. Expert videos to inspire you: Gain the latest leadership practice tips from a wide range of leadership experts. Approved by Experts: We are an Approved Centre of the Chartered Management Institute (UK). 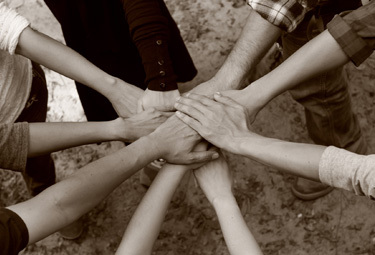 You’re not alone: Share insights with others in our social learning area. Connect with fellow committed leaders. Downloadable Private learning journal: Gain greater awareness by recording your leadership insights and personal reflections in your private journal. You have control: Choose your start date and join us from any device: Anywhere, anytime. Daily updates to empower you: Really busy? Our daily email reminders help you manage your time so you can complete the Challenge. Daily Tracker to transform you: Your daily tracker allows you to keep a record of your greatest behaviour challenges and gain greater self-awareness. Proven Pedagogy: Our approach to learning is based on social cognitive theory principles and has proven success. Support at a touch of a button: Simply email us at support@switcheducation.com and we’ll be there to assist. Money-back Guarantee: If you don’t achieve greater self-awareness as a result of the Challenge rewarding you can request a refund – no problem. Privacy Protected: Your personal information is protected and you can update preferences anytime. Certificate of Achievement: Your Certificate shows that this Challenge is recognised by us as Continuing Professional Development. Data Safe: Your personal information and data is protected and backed up daily. 7 Days to Inspire. Empower. Transform. 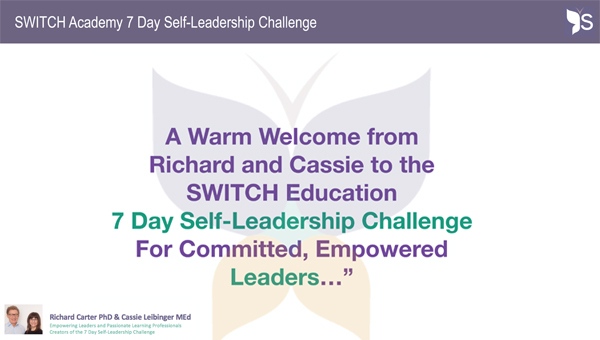 You’ll be amazed at how much self-awareness and clarity around your leadership behaviour you can learn in 7 days...and the insights you’ll gain will set you up for life. JOIN OUR COMMUNITY OF GLOBAL LEADERS. CHALLENGE YOURSELF NOW! Woo hoo! You’ve completed the 7 DAY SELF-LEADERSHIP CHALLENGE. It’s time to celebrate your success. START YOUR TRANSFORMATIONAL LEADER CHALLENGE NOW! "Enjoyed and learnt a heap. Self-reflection and self-awareness is paramount..."
"Great choice of videos throughout the course which provided lots of innovative ideas for students to implement in the real world..."
"Developing one self and evolving as a manager and leader, and learning to adapt to other leadership styles was a big thing I took out of this..."
"I learned a lot about myself and was able to apply many learnings in my day to day activities..."
"I thought the course was very informative and well laid out." 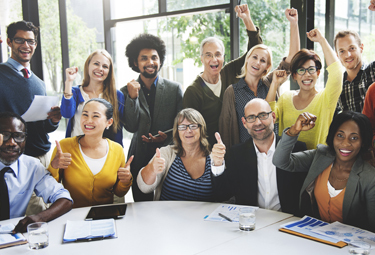 "A great course which offers modern leadership tools and tactics to lead teams in an effective fashion..."
JOIN NOW FOR LESS THAN THE COST OF A LARGE COFFEE A DAY! Not quite ready for the Challenge? 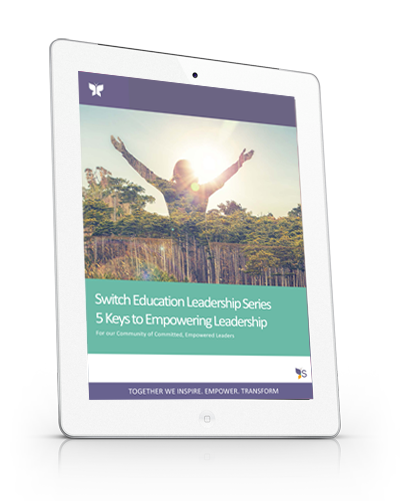 Download our free ebook on the 5 KEYS TO BECOMING A MORE EMPOWERING LEADER here.